Made from naturally strong and eco-friendly bamboo, this Progress chopping board has a contemporary design and is the perfect addition to your kitchen worktop. Brilliantly versatile, you can use the board every day whilst making packed lunches for your children, preparing ingredients for a large family meal or to serve cheese, cooked meats and more when you have guests. With a built-in slate insert, the board will look lovely as you share and enjoy delicious treats with family and friends. 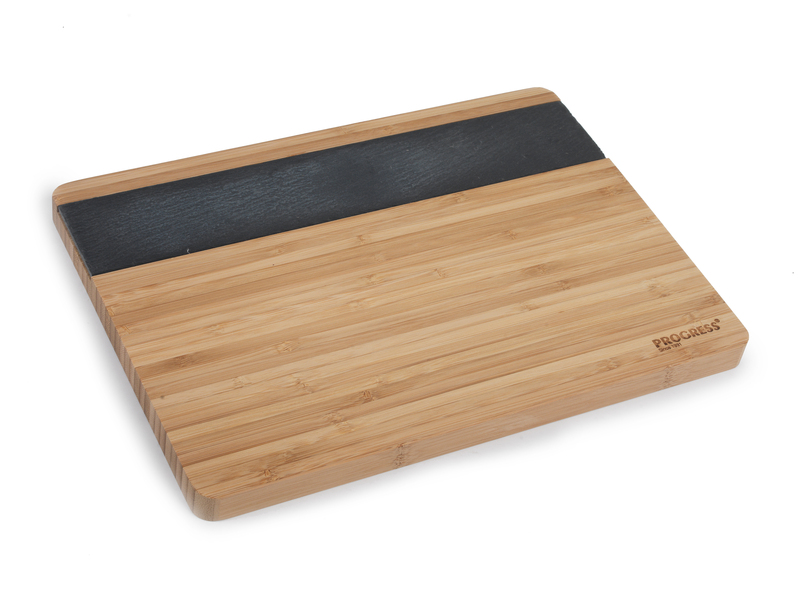 The multipurpose board is ideal for serving all kinds of foods and features a slate insert which you can even write on with chalk.